Apple is building hardware for next year's iPhone model at its offices in Herzliya, Israel, and referring to it internally as the "iPhone 8," according to an employee there who spoke anonymously to Business Insider. The employee works on soldering components for Apple and gave vague references to how "different" the 2017 iPhone will be from the iPhone 7, which falls in line with rumors about the iPhone 8's radical redesign, without providing detailed information to add to the previous reports. Still, the naming scheme of next year's iPhone is one of the device's most talked-about aspects. Normally, the smartphone would carry the "iPhone 7s" moniker given that it will be following this year's iPhone 7, but given the major changes Apple plans to introduce to the iPhone in 2017, it seems unlikely the device will receive an "S" name. Because of this, there's a good chance Apple may decide to skip directly to the next full number, naming the 2017 iPhone the iPhone 8. The Apple employee speaking with Business Insider keeps this idea alive, mentioning what's coming "next" from Apple and discussing the iPhone 8 "unprompted" in the conversation. The same source, "who only spoke in broken English," added that the 2017 version of the iPhone will have a better camera than the iPhone 6s and iPhone 7, which is expected at this point in Apple's yearly upgrade cycle. Speaking to Business Insider outside Apple's Herzliya office at Maskit Street 12, the Apple employee said staff in Israel are working on what's coming "next" in Apple's product line, giving a specific mention to "iPhone 8." The worker used the term "iPhone 8" unprompted in our conversation. 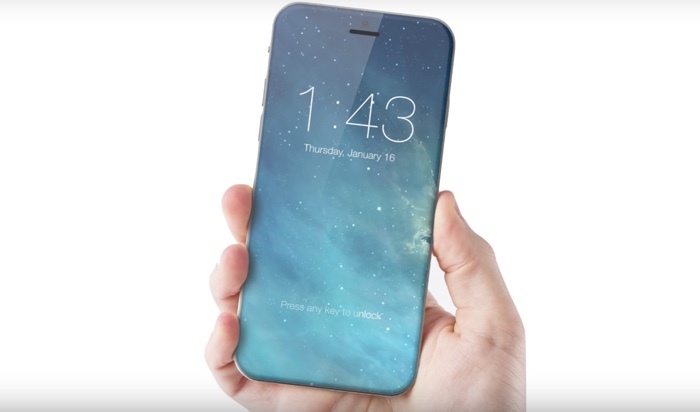 That was interesting because the next logical name for the iPhone to be released in 2017 should be "iPhone 7s." iPhone 8 isn't due until 2018. The radically redesigned iPhone 8 is said to include an all-glass body, edge-to-edge display with the camera and Touch ID integrated into it, no traditional Home Button, and potentially wireless charging. The device's launch will also fall on the tenth anniversary of the original iPhone's debut, back in 2007, leading to even more speculation that Apple will land on a specialized branding instead of a simple "S" naming scheme. But because it's so early in the rumor cycle -- and because Apple's R&D offices in Herzliya have nothing to do with marketing and branding of the iPhone -- it's best to take today's report with the usual grain of salt. Tim Cook visited the Herzliya offices when they opened last year with rumored focus on storage space, processors, and communications chips being worked on by around 800 employees. Why is this shocking? Did you think Tim Cook would just wake up some day 10 months from now and say "oh ****, we forgot to make another iPhone!" They'll have iPhone 8, 9 and probably 10 prototypes in their labs already. Man what I wouldn't give to have a tour of that place..
Edit: The picture in the article looks ridiculous. Does anyone really want the earpiece cutting through the display??? No. Would be nice if Macarumors covered the largest Apple patent unveiling just a couple of weeks ago. iPhone 8 could be made from ceramic. Bye bye ugly antenna lines. Love it. Work on iPhone 8 is... ongoing? Really, ongoing you say I'd expected them to have stopped by now. This just in...it will be dark tonight. They might call it "the new iPhone"
Heh, so it's already begun, and now even directly from Apple staff?? I bet we'll have unusually many rumors surrounding this phone given the radical changes. I've also heard that Apple may change into a different, longer release cycle as people no longer replace their phones as often. So I wouldn't be surprised if Apple uses the opportunity for a major design change to also make a major change in branding. I'm not sure so sure this phone will be called iPhone 8. We're getting so close to silly numbers like iPhone 11 or iPhone 12. Maybe this moment will be one where it'll be simply referred to as... "iPhone". Like the Mac lines. And we'll instead have to refer them to by their release year, which may no longer be yearly. Edit: Yeah, as above... "The new iPhone" in marketing. It makes sense they want to get away from traditional branding if they are moving from traditional cycles, or even traditional designs. I have no doubts it'll be all true with the edge-to-edge display and no home button, and of course hope they'll release it sooner rather than later. But we've all been burned by delusions of grandeur before. Remember the rumours for the 4S? I find it hard to believe Apple would release it less than 1 year after the iPhone 7. Sure, June 29th 2017 would be ideal, but waiting until Fall is not gonna make Steve Jobs turn in his grave either. The only thing that will make Steve Jobs turn in his grave is an earthquake. :D Aside from that, I'm pretty sure he's gonna be unaffected no matter Apple does.